DBOX has generated marketing strategy and communications for landmark, high-profile branded developments and destinations since 1996. From our studios in London, Los Angeles, New York, Miami and Hong Kong we have delivered highly successful campaigns and acquired valuable knowledge of HNWI and multi-lingual audiences throughout Europe, the Middle East, China, South-east Asia and the Americas. 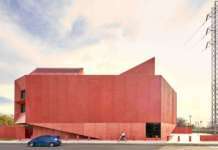 DBOX’s work has been recognised by organisations including the Academy of Television Arts & Sciences (Emmy® Awards), The Art Directors Club, World Luxury Award, American Design Awards, Communication Arts and The International Property Awards, and our work has been exhibited at some of the world’s most respected art institutions, such as The Museum of Modern Art (MoMA), The Royal Academy of Arts, The Museum of Contemporary Art in Tokyo, New Museum and The Museum of Contemporary Art in Los Angeles. Proposed by Safra Group and Foster + Partners, owners and architects respectively of The Tulip is a new public cultural and tourist attraction which would be sited next to 30 St Mary Axe, also known as The Gherkin. 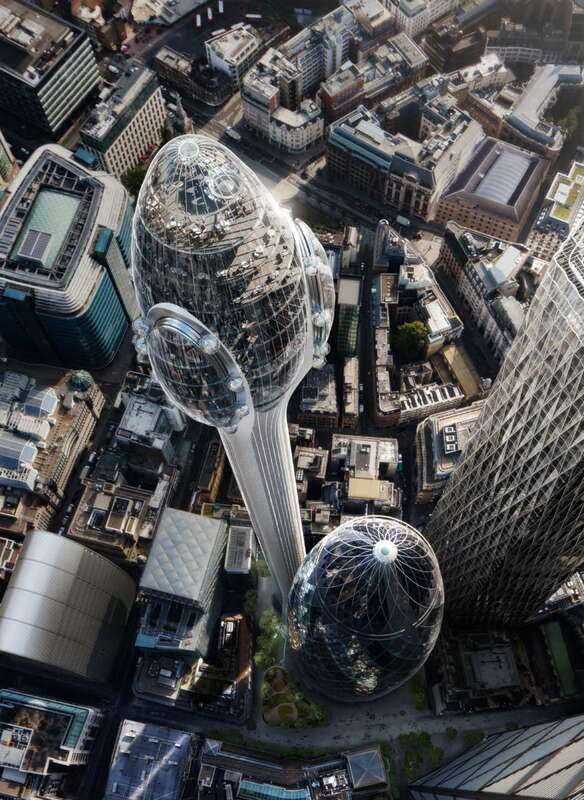 Deriving its name from its nature-inspired form, The Tulip would enhance The Gherkin, one of London’s most cherished and recognisable buildings and offer a new state-of-the-art cultural and educational resource for Londoners and tourists. Since the turn of the Millennium, London’s skyline has matured with new high-rise buildings that reflect its growth as a global financial hub. In addition, the City of London Corporation has been driving proposals to enliven the Square Mile by creating a Culture Mile with world-class tourist facilities. The proposal for a unique 305.3-metre-high visitor attraction reflects a desire to build public engagement within the City and enhance The Gherkin’s public offering. The Tulip promises wide cultural and economic benefits with a diverse programme of events. 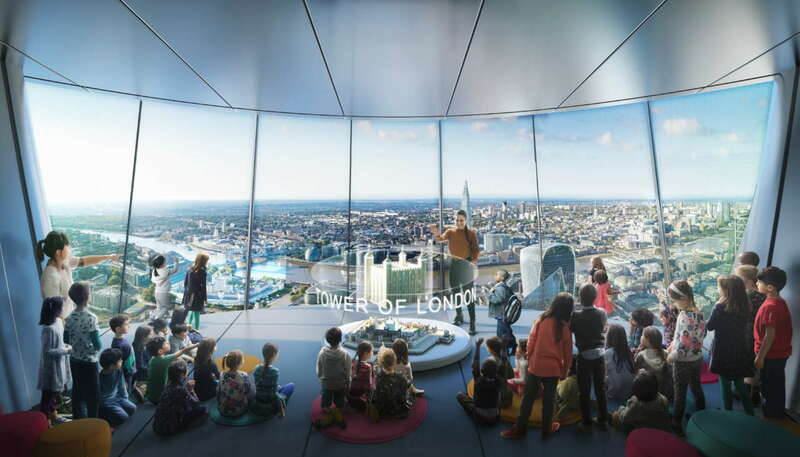 The viewing galleries will offer visitors an engaging experience with sky bridges, internal glass slides and gondola pod rides on the building’s façade that will appeal to people across all age groups. Visitors will benefit from interactive materials and briefings from expert guides about the history of London. 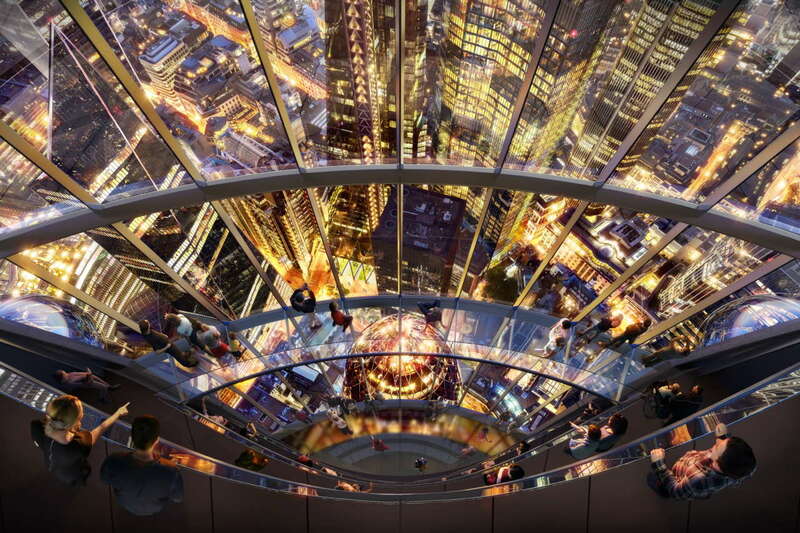 Complementing the experience will be a sky bar and restaurants with 360-degree views of the city. Completed in 2004, 30 St Mary Axe, now popularly known as The Gherkin, made a positive contribution at ground level by breathing life into its surroundings. 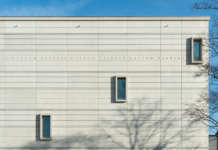 The Tulip seeks to extend the site’s public realm further. A new pocket park is proposed alongside a two-storey pavilion offering a publicly accessible rooftop garden.